Building and keeping relationships with individuals in all walks of life will provide you with a sturdy link to future career opportunities. Networking is about building mutually beneficial relationships, and it is an ongoing tool in your professional plan. If you are right out of school, create your first networking list of all the individuals you met in school including fraternity/sorority groups, classmates, professional organizations, volunteer organizations, and your professors. You may even want to look at the people you knew in high school. If you’ve been working for a while, list all your coworkers. Connect with them via email, LinkedIn, and/or phone to say hi and let them know what you’re doing. It’s important to build or rebuild these relationships before you want to ask for favors like a new job. Don’t forget to ask if there’s any way you can help them as well. Build a list of the target audience(s) within your area of expertise. Review every association, every event, and every charity that would attract this group of individuals. Create a schedule to attend a certain number of events a week/month and set up time for follow-up phone calls. And don’t forget to send everyone you meet an invitation on LinkedIn. The more you talk with people, hand out your business card, present your elevator pitch, and follow-up, the better you’ll get and the stronger your network will become. 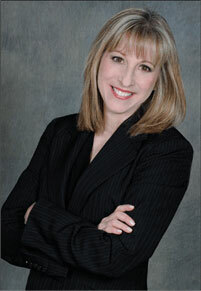 Susan Caplan is the go-to MARKETING YOURSELF expert. She is an inspiring keynote speaker, consultant, teacher and author of the Marketing Yourself to the Real World™ book series.